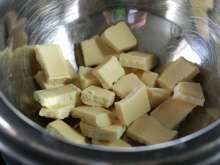 Melt chocolate broken to pieces over a hot-water bath. 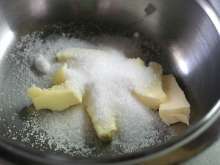 Gradually incorporate egg yolks in the butter and sugar mixture, stir. Put in the bowl grated coconut, melted chocolate and baking powder. 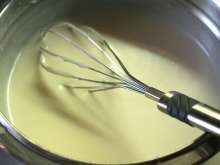 Whisk egg whites until stiff peaks form. 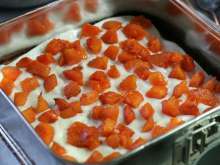 Add egg whites foam in the dough. Gently stir. Pour the dough into a tart pan lined with parchment paper. Bake 20 minutes at 345°F (175°C). 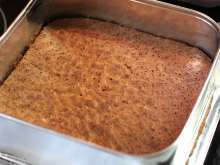 Once the cake bake is finished, allow it to cool on a kitchen rack. 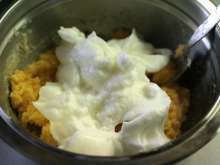 Pour coconut milk in a bowl, add cream cheese, sugar, coconut syrup and rum. Stir. 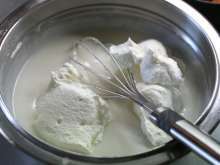 Pour any amount of cream into a small bowl. Then stir in gelatin stabilizer. 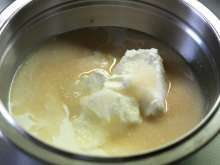 Pour content of the bowl into the remaining cream. 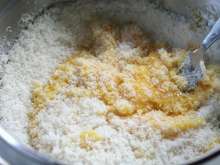 Stir well until the mixture becomes dense. Add whipped cream to the cream. 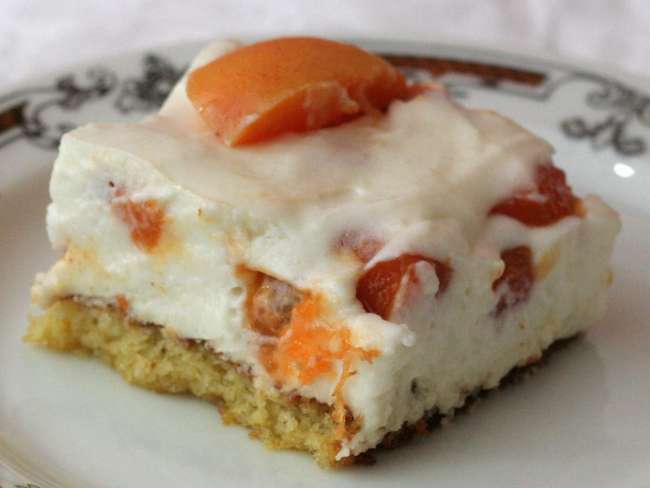 Spread the finished coconut cake base with part of the cream, lay apricots cut into small pieces on top. 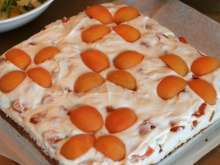 Spread another layer of the cream, decorate with apricot quarters.